On the last day of the year we reveal the five acts that we expect big things from in 2016. 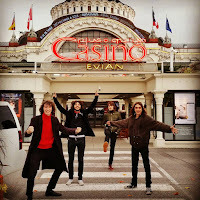 Of last year's top three, we were the only blog to nominate Blossoms in the Blog Sound Of 2015 poll and they finished the year headlining The Ritz and close to selling out Albert Hall. 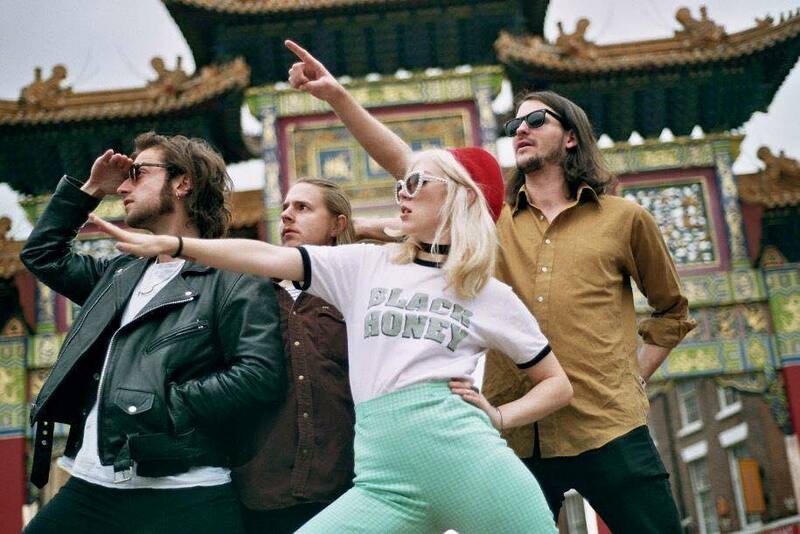 We have high hopes for these five acts that we've championed during 2015 and expect big things of in 2016. Before we start though, a recap of the 45 bands we've tipped so far. Day three of our tips featuring Bang Bang Romeo, Delamere, Etches, Finola Daley-Dee, Liam McClair, Runah, The Sherlocks and Thyla can be found here. Day four of our tips featuring Annabel Allum, Heavy On The Magic, Hey Bulldog, Louie Louie, Mayflower, Our Girl, Partisan, The Watchmakers and Zuzu can be found here. 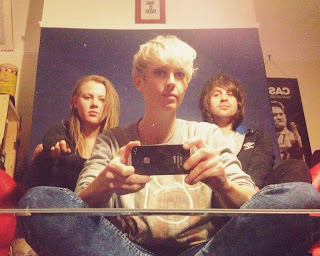 Day five of our tips featuring Barron, Fairchild, Freakout Honey, Gospel, I Set The Sea On Fire, Lucky T Jackson, Misty Miller, Rory Wynne and Yak can be found here. 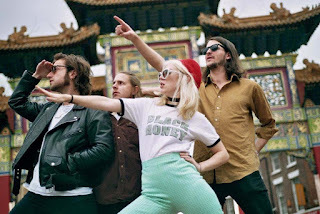 Black Honey are Hype Machine and 6 Music's call as most blogged artist of 2015 and whilst we wouldn't ordinarily agree with such things, for once the hype surrounding them is absolutely justified. The Brighton based four-piece are Izzy Baxter on vocals and guitar, Chris Ostler on guitar, Tommy Taylor on bass and Tom Dewhurst on drums and they've made their name in 2015 with a self-released demo EP and two singles Madonna and Corinne as well as some of the most thrilling live shows you'll have seen this year with Izzy one of the most energetic and involved band leaders you're likely to see. They're absolutely lovely people too. Our review of their recent show at Soup Kitchen in Manchester can be found here. 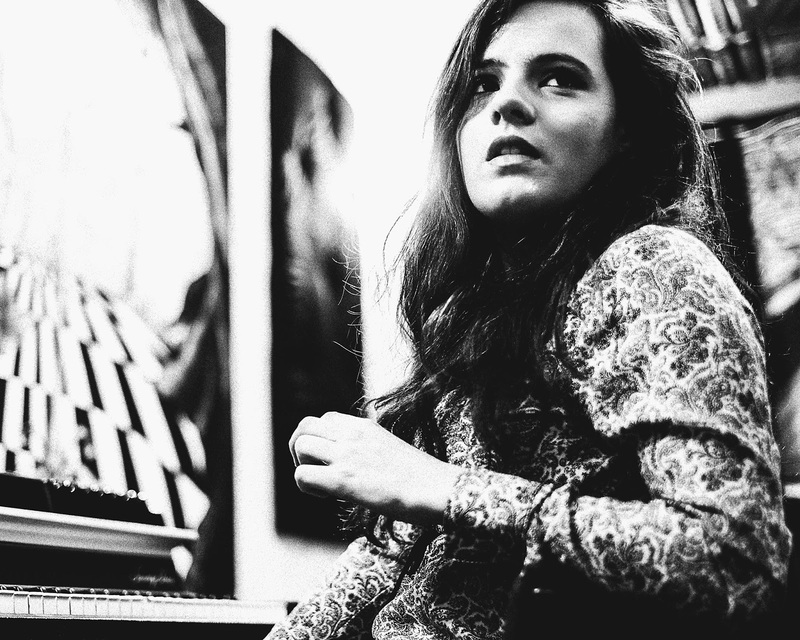 Nottingham's Georgie has a voice that could stop traffic. Beautifully evocative, rich, deep and soulful, she marries it to exquisitely crafted songs that work with her solo performances but also suggest that they could be fleshed out with a band and not lose anything in translation. This Ain't Heaven is currently the only song on her Soundcloud page and has also been picked up by Burberry who championed Rae Morris in her very early days, but from her short live set in Manchester earlier this year it's just the tip of an iceberg. She signed to Columbia Records in the summer so we do expect to see and hear a lot more of her in 2016. Georgie is on Facebook and Twitter. Our review of her recent show at The Castle Hotel in Manchester can be found here. We're incredibly excited about Hidden Charms might reveal to us in 2016. With two great singles Dreaming Of Another Girl and Love You Cause You're There under their belt and a growing crowd thrilling to their electric live performances on their seemingly never endless jaunts around the UK and a set of songs that make up their set that have that same captivating feeling to them, full of infectious energy, rampant raucous grooves and a nod to the past with feet very much in the here and now, they are set to be one of the big breakthrough bands of 2016. 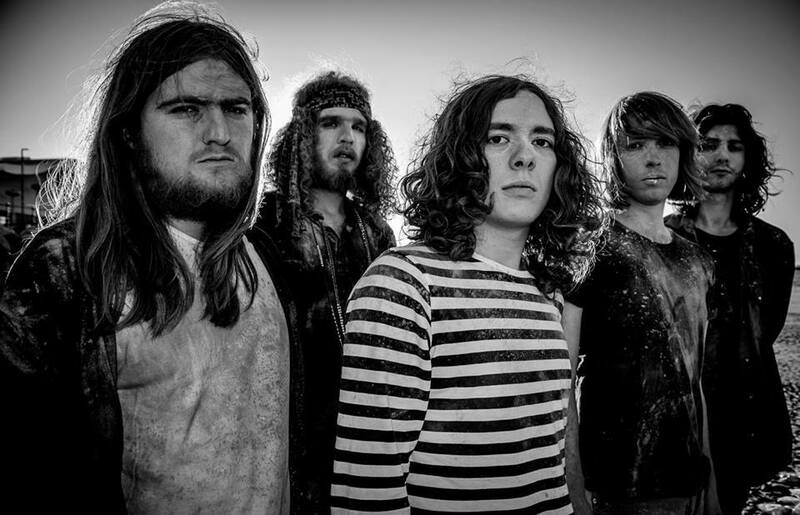 Our review of their Gullivers headline slot in November can be found here. She Drew The Gun's bio reads "So the story goes, our heavy hearted songstress, looking to the sky for answers, was met with a message from some future pocket of civilisation. A band of outlaw scientists trying to get their point to some past human, turned storyteller. Her name is Louisa, and she became SDTG, then SDTG became more than she, a circle of friends immersed in the art of music, ready to enter the airwaves." In 2015, She Drew The Gun have won us over with three singles of impressive beauty. Starting with debut If You Could See back at the turn of the year, the second single Since You Were Not Mine soon followed, but it was the third single Where I End And You Begin that saw Louisa and her band picked up and championed by the likes of Steve Lamacq. They've also just recently completed a huge European tour supporting Fink and, in addition to the three singles, have a couple of songs in Broadcast and Pit Pony which make social commentary more biting and fierce than anyone else around. She Drew The Gun are on Facebook, Twitter and Soundcloud. Our review of their recent show at Manchester Academy 2 can be found here. 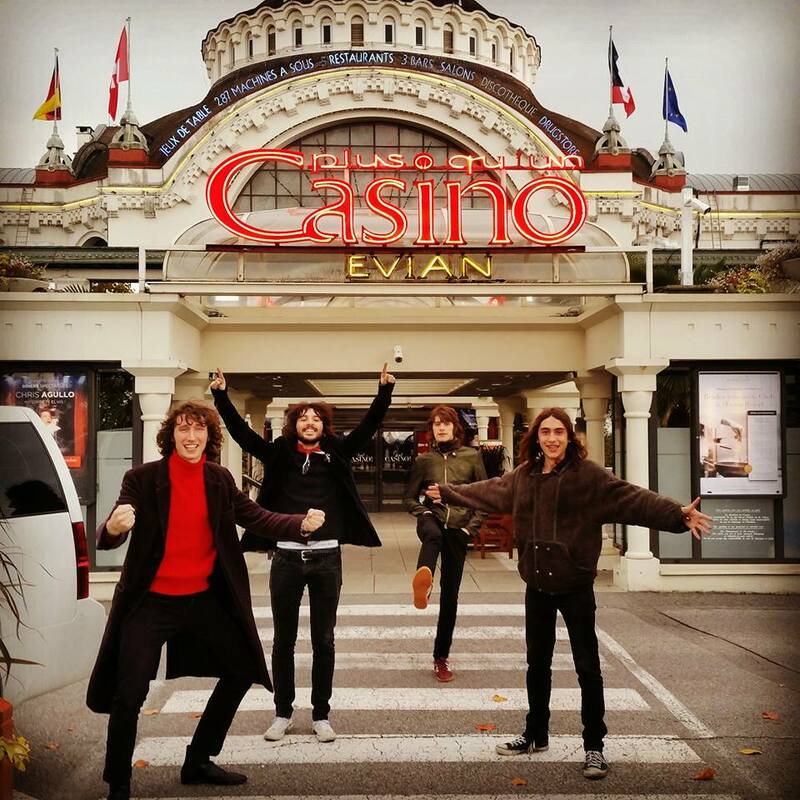 By the time The Vryll Society have finished supporting Blossoms on their February tour, they will be a name on everyone's lips. Their Pangea EP released towards the tail end of the year showcased their sound and their vibe - their aim is to take you on a transcendental trip through sonic peaks and troughs rather than conform to standard song structures, but the result is mesmerising. The sadly departed Alan Wills who signed them to Deltasonic described them as "space rock sorcery" and that's the best description we've heard so far. They don't try and blow you away because they don't need to once they start working their magic. Our review of their Manchester Night And Day show in October can be found here.